Replacement of the traditional (and old technology) Thermostatic Expansion Valves (TEV’s) with Carel Electronic Expansion Valves (EEV’s) provides outstanding superheat control of your refrigeration plant. This in turn maximises the cooling efficiency of the refrigeration system and the milk vat. TEV systems can be easily upgraded to EEV versions. 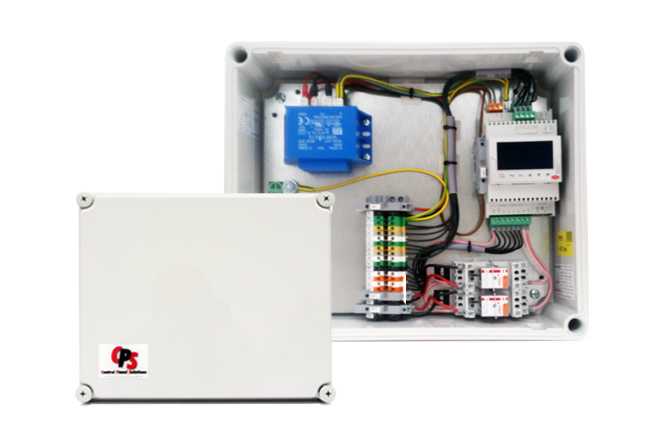 In addition to their proven Milk Vat Control Panels, Eurotec now offer for retrofit a range of Prewired Electronic Valve Driver (EVD) Panels complete with Valve Drivers installed, with all temperature and pressure sensors and cables included. Tip: By also installing Carel FCP Condenser Fan Speed Controls you can further maximise the plant potential.